Terminal heat stress (THS) causes abrupt modulation in the expression of stress-related proteins in developing seeds. These differential expressions are thought to enhance thermotolerance. Hence, a field experiment was conducted with three spring wheat genotypes, Raj 4014 (heat sensitive), K 7903 (heat escaper) and WH 730 (heat tolerant), for the identification of THS-associated proteins. To expose the plants to different levels of temperatures at the time of grain filling, the crop was sown during the second week of November and during the first week of January. The average ambient temperatures during the grain growth phase between anthesis and physiological maturity were 25.5 °C and 24.9 °C when sown in November and 31.3 °C and 32.0 °C when sown in January in 2012–2013 and 2013–2014, respectively. SDS-PAGE revealed considerable differences in grain proteome at different stages of grain filling in response to THS. Results showed that RAJ 4014 and K 7903 had very high homology in terms of qualitative pattern of protein bands as compared to WH 730. RAJ 4014 and K 7903 showed the expression of two new THS-responsive proteins (~ 40 and 105 kDa) at 7 days post anthesis (DPA) under THS. These protein bands appeared in WH 730 subsequently at 14 DPA but with low intensity. While protein bands of ~ 90 and 42 kDa appeared in K 7903 at 7 DPA, other two genotypes showed these bands at 14 DPA under both normal and THS conditions. 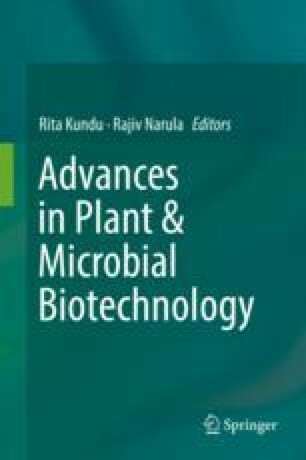 These information could help in designing a strategy for developing heat-tolerant cultivars in molecular breeding programmes. We gratefully acknowledge the financial support from ICAR for Network Project on Transgenic in Crop: Functional Genomics in Wheat.